Could something like this work? Probably, but keep in mind that the actual horn is short so there will be no horn loading at lower frequencies. The dispersion will probably not be as uniform as a normal synergy horn. If we go omni, then we'd hear a larger portion of reflected sound in room. I doubt it's worth the effort making it a Synergy, in which the major advantage is a point source with directivity control. I agree that the directivity and point source is what makes the synergy special. It removes the background wall reflections that open face driver speakers have and makes everything sound cleaner. Thank you all for your comments. The thing is, I've come to regard some room reflections as A Good Thing. Reading Floyd Toole's book gave me a new perspective on what a loudspeaker ought to try to do, especially as regards directivity. I recently built a pair of omnidirectional speakers and they work really well for me. I think they might be even better if the mids and highs were coming from the same point, as opposed to a few inches apart as they are now. What is your actual omni speakers? 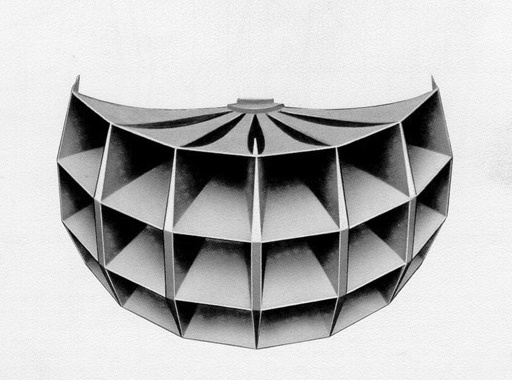 Remind me of the bench mark loudspeaker(s) which Floyd Toole has designed during his private career as a loudspeaker designer. Seems he had a decent one or two with Harmon? I think Floyd made his mark at the NRC testng. Best regards Moray James. Thanks! Don't seems dirty and cool if this made quickly .. Since the synergy horn seems mainly a conical horn - but larger flare to the mouth - your aproach in making the mouth cylinder barrel shaped seems "intuitively valid" to me. So a couple of conical horns may be arranged to cover 360 degrees horizontally and the lower cutoff frequency should be lowered significantly by the mouths of the multiple "cells" adding in radiation resistance. What you do IMO is basically going 360 degrees and making a cylinder barrel shaped mouth. Then any virtual "dividers" between the sectors may be "omitted". You should keep the vertical dispersion of the synergy horn, so i would expect the free air performance to be similar like a synergy horn. I am not aware how to adapt driver, compression chamber etc. to the larger flare rate, if not going the "multicellular" aproach and also using multiple drivers. Of course your dispersion won't be "omnidirectional" but 360 degrees horizontal by "X"-degrees vertical, thereby "X" being somewhat frequency dependent. Last edited by LineArray; 31st December 2014 at 06:17 PM.